In spite of the fact that Kevin Anderson wants to become an American citizen and Roger Federer represents Switzerland, these two top tennis stars both have South African blood running strongly through their veins. Kevin Anderson started playing tennis professionally in South Africa at a tender age of just 17. Born in Johannesburg, he spent most of his years playing college tennis in the United States of America where he managed to hone his skills. Nevertheless, the 32-year-old is evidently still a proud South African citizen. On Wednesday in his post-match interview after dethroning Federer in the Wimbledon quarter-final, he sent a motivational message to South African youngsters. The Johannesburg-born star is a Proteas and Springboks fan cricket fan, and he usually sends his messages of support on Twitter. Paying the Springboks a surprise visit at their first training session in Auckland on a Tuesday afternoon in 2013. Sending a message to the Boks’ World Cup team, “Go Bokkie” through the lens of a television camera after his win in Shanghai in 2015. Earlier this year at the Maharashtra Open in Pune Anderson showed off his cricketing skills, and he also has a South African flag on his Twitter bio. In 2013 he decided to apply for American citizenship for “logistical reasons”. His patriotism has been in question for a number of years, and many South Africans wonder if he will ever represent his country at the Davis Cup Tournament again. His last appearance was in 2011. And while it is certain that the South African Davis Cup team need his services, Anderson is only interested in improving his ranking and placing himself in a good position to win his first grand slam. 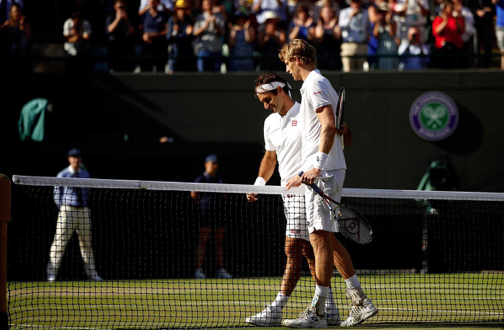 The Swiss master, Federer and Anderson played out to a nail-biting four hours and 14 minutes thriller in a quarter-final at Wimbledon. Surprisingly, Anderson walked away as the winner, giving himself a good chance of clinching his maiden slam title. Perhaps the 32-year-old can learn something from the king of grass when it comes to national pride and patriotism. Federer led Switzerland to its first-ever Davis Cup title in 2014. The 19-times grand slam champion inherited his breathtaking athletic prowess from his mother, Lynette Durand, a South African Afrikaans-speaking woman. She claims to have been a sportswoman competing at a high level. During her school days, she participated in track and field, netball and hockey. It was during the apartheid days when Durand fell in love with a Swiss man, Robert Federer. They decided to move to Switzerland, and 11 years into their relationship they gave birth to a superstar named Roger Federer with South African genes. To stay connected to South Africa, in 2003, the now 36-year-old established the Roger Federer Foundation. According to the www.rogerfedererfoundation.org they support educational-structured projects in Southern Africa and Switzerland. The main purpose of the foundation in Africa it is to provide programmes that will help improve the quality of basic education and early learning. It has been more than six years since Federer visited his second home but it is clear that his heart is in South Africa. His mother taught him well when she told him that sharing is caring. It is impossible to take South Africa out of these two tennis players. They are amongst the top ranked tennis players in the world while Federer has his mother to thank for his athletic abilities and has won it all, Anderson is still searching for his first major trophy. Tokelo Martin Mokhesi was born and bred in Soweto, Klipspruit/Pimville. Born in 1996, he is a journalism graduate. Tokelo is a freelance sports journalist. 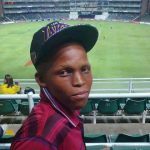 A keen sportsman, he plays cricket at Soweto Pioneers Cricket Club and is an ultimate frisbee player for South Africa U24 (The Wild Dogs). He is also a sports activist and is looking to make a difference through sport. He freelances for The Argus Report and sister online website The Sporting Detail.